Have you ever tasted a food and felt yourself transported in time and space to the old country where life was simpler? A flavor of home. A flavor of comfort. At Waffle Amore we create our waffles using the finest, freshest ingredients. We sprinkle our passion for food and our love of feeding people into every dish we serve. Owner Judy Vandoorne took her obsession with waffles to the only place truly known for making waffles an art – Belgium. There, she studied with a famous chef and fine tuned her craft so she could bring you delectable variations on this old-fashioned favorite. Learn more about Judy and her journey to feed you with love. 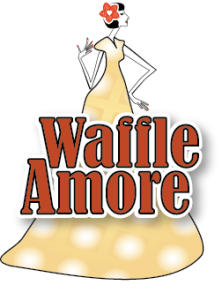 Waffle Amore for your next event! Delivery available for a limited geographical area. Call (415) 672-0494 for more information.